Director – Christopher Nolan, Screenplay – Christopher Nolan & Jonathan Nolan, Based on the Novel by Christopher Priest, Producer – Christopher Nolan, Aaron Ryder & Emma Thomas, Photography – Wally Pfyster, Music – David Julyan, Visual Effects – Buf (Supervisor – Stephane Ceretti), Special Effects Supervisor – David Blitstein, Prosthetic Makeup Effects – Leo Corey Castellano, Production Design – Nathan Crowley. Production Company – Newmarket Films/Syncopy. England in the late 19th Century. Stage magician Alfred Borden is sentenced to be hung for the murder of rival magician Robert Angier. It is believed that Borden manoeuvred a water tank below the stage trapdoor during Angier’s act, causing him to drown when he fell through. Borden protests his innocence. In jail, Borden is given Angier’s diary and in reading it remembers back on the events that led up to this. The two became rivals after Borden tied a knot that caused Angier’s wife Julia to fatally drown during an act. Afterwards Angier took revenge by shooting Borden in the hand with a real bullet during a bullet-catching act. The rivalry and mutual sabotage of each other’s act began to grow as either’s reputation did. Borden then premiered an act known as The Transported Man where he appeared to instantaneously walk between two doors separated on either side of the stage. Angier became obsessed with working out how Borden did the trick and premiered his own version using a look-alike double. Angier’s fascination with obtaining Borden’s secret took him to Colorado Springs to seek the aid of the genius electrical engineer Nikola Tesla who offered the promise of creating a device that could teleport a person. Frequently in cinema, we get years when filmmakers seemingly by accident or deliberate intention alight upon a near identical theme. 2006 was peculiarly a year that saw two rival projects, both set in the Victorian era, about rivalry and stage magicians, with both The Prestige and the earlier-released The Illusionist (2006). Both films also weave their audiences into an elaborate plotting conjuror’s trick involving elaborate ploys created to make people think that someone has been murdered. 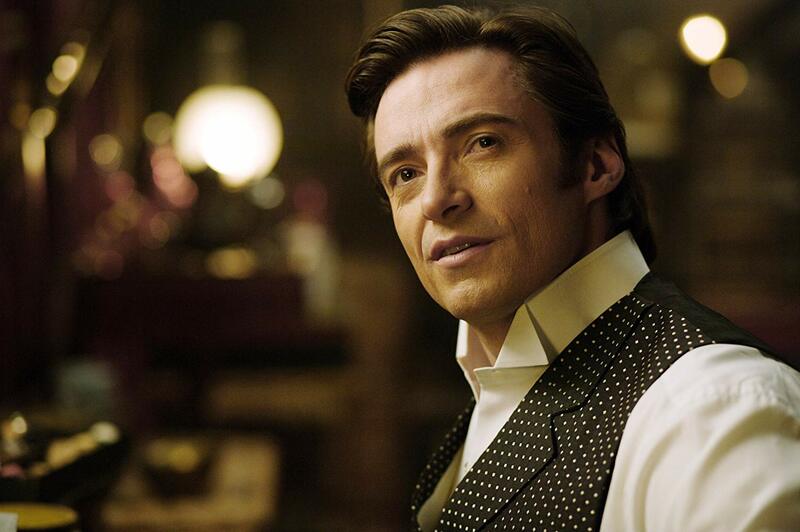 The Prestige comes from director Christopher Nolan. Christopher Nolan first gained enormous attention with his second film Memento (2000), a brilliantly original work in its backwards-told story of a man who was trying to solve his wife’s murder despite a form of amnesia that blanks his entire memory at periodic intervals. Nolan went onto direct the remake of Insomnia (2002) about a guilt-ridden detective on a case in Alaska, and then had the enormous hit of Batman Begins (2005), which triumphally reignited the DC Comics franchise, followed by the even greater success of The Dark Knight (2008). 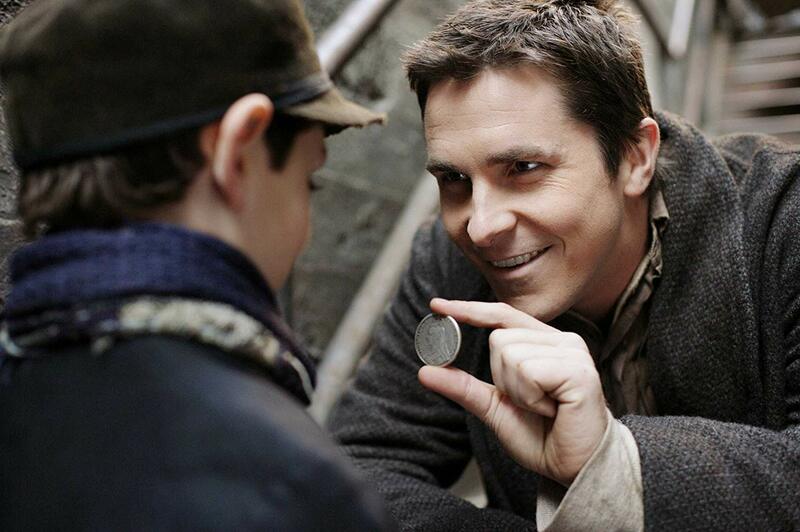 Nolan co-writes The Prestige with his brother Jonathan, who has become his regular co-scripting partner. The Prestige comes from a novel The Prestige (1995) by Christopher Priest. Christopher Priest is a worthy British science-fiction writer who has delivered works such as Fugue for a Darkening Island (1973) set in a dystopian future England; the marvellous Inverted World (1973) about the inhabitants of a city that is perpetually moving along an axis caught between a distended horizon, which eventually becomes a case of altered perception; The Space Machine (1976), an H.G. Wells homage where Wells’s time traveller ends up on the Mars of The War of the Worlds (1898); A Dream of Wessex (1977) about reality manipulation in a totalitarian future Britain; and The Affirmation (1981) about a dreamed alternate world, to name but his most well-known books. Christopher Priest is clearly a successor to the tradition of British science-fiction popularised by J.G. Ballard and writes works that inhabit inner space and in particular concern themself with issues of perception. All of Christopher Nolan’s films seem to feature characters that are obsessives – Guy Pearce obsessively trying to find his wife’s murderer despite his memory periodically becoming a blank slate in Memento; Al Pacino driven crazy by the sleeplessness of Alaskan twenty-four hour sunlight and trying to cover up his own guilt in a murder in Insomnia; Batman Begins, which detailed Bruce Wayne’s journey from vengeance-fixated orphan to the Dark Knight; and Leonardo DiCaprio haunted by his dead wife in Inception (2010). Likewise, The Prestige sets up Hugh Jackman and Christian Bale as illusionists wound into a rivalry of mutual self-destruction, obsessed with revenge, determining the others’ secrets and gaining one-upmanship over the other. The whole of The Prestige is an elegantly crafted Hall of Mirrors with fascinating motifs and reflections that run through the story. As characters, Angier and Borden seem psychic opposites – Angier comes from a background of privilege and has charisma and charm; Borden is working class and struggling, he is a brilliant magician but lacks Angier’s natural charisma. The theme of doubles runs throughout the film – [PLOT SPOILERS] where Borden is eventually revealed to be two men living in one identity. The film reaches an end that kills one of Borden selves, in effect reducing him to one; whereas Angier goes the other way, he is one man who obsessively searches for a means to replicate himself and finally reaches an end where he has gone from one identity to multiple versions of himself. The Nolans’ writing is such that both characters shine, but neither character seems overtly the hero or the villain. Christopher Nolan loves films of non-linear narrative – as in Batman Begins, Dunkirk (2017) and especially the brilliantly original reversed structure of Memento – and The Prestige is a superbly mastered series of Chinese Boxes of flashbacks within flashbacks that sometimes confuse but mostly comes with a dazzling adeptness of narrative structure. As much as it is a film about magic and magicians, The Prestige is conceived on another meta-level where the film itself is like an elegantly constructed conjuring trick that Nolan is playing on his audience. Although here Nolan perhaps fails to fully engage in the game of misdirection that Michael Caine tells us is the essence of a conjuring trick at the beginning – both the nature of how Borden conducts The Transported Man and the identity of the mysterious purchaser of Borden’s tricks are predictable. Indeed, when it comes to the revelation regarding Borden’s big secret, this is something where Nolan fails to conduct a dazzling enough conjuror’s flourish and [PLOT SPOILERS] manage to hide the nature of the twin behind a faked beard. If the surprises seem a little obvious at the endcome, you still cannot deny that The Prestige is beautifully written. Indeed, it is the film that Clive Barker’s failed Lord of Illusions (1995) should have been. Maybe you could imagine The Prestige as a cross between Lord of Illusions and its story of a stage magician and his elaborately contrived death, as well as the end resurrection of his rival, and a few dashes of David Cronenberg’s The Fly (1986) and its complicities of matter transport. Nolan, cinematographer Wally Pfyster and production designer Nathan Crowley craft The Prestige as an elegant period piece. They tap into the Victorian gaslight milieu that is so central to Sherlock Holmes and other works that draw upon that era. The Prestige almost verges on being a Steampunk work in the vein of films like The League of Extraordinary Gentlemen (2003) and Steamboy (2004) and the spate of Jules Verne/H.G. Wells adaptations of the 1950s/60s such as 20,000 Leagues Under the Sea (1954) and The Time Machine (1960) and their fascination with imagined futures build out of Victorian steam technology and wrought iron architecture. The Nolans successfully get inside the sense of Victorian wonderment about the dawning arrival of electricity and the amazing things it seemed to herald for the people of that era. One of the more fascinating aspects of The Prestige is the winding in of the bizarre real-life character of Nikola Tesla, as played by David Bowie. Nikola Tesla (1856-1953) was a Croat-born electrical engineer who began working under Thomas Edison before the relationship fractured into bitter rivalry. Tesla is remembered for his discovery of alternating current, as well as pioneering the invention of radio transmission prior to Marconi (whom he later took to court to get recognition but failed) and laying down the theoretical basics of radar, among many other discoveries. Tesla has become regarded as an almost mystical figure – he was an obsessive compulsive who led a bizarre personal life and planned an amazing number of inventions, including death rays, anti-gravity machines and cameras that could photograph thought. The visit to Colorado Springs that we see in the film does touch base with truth where the entire town turned itself over to Tesla’s experiments – in fact, was even more bizarre than the film shows, with Tesla during this time claiming that he was communicating with Mars and Jupiter via radio. One suspects a biopic about Tesla could be way more outlandish than anything we see here without having to fictionalise a thing. Both Hugh Jackman and Christian Bale shine in their respective roles. Jackman plays with handsome polish and mannered obsessiveness, giving one of the better performances he has in recent years. It is especially amusing contrasting Jackman playing Angier with the washed-up actor double, which shows just what a class act his performance is. Christian Bale has become a strong leading man in the last few years but here contrarily plays it down and goes for a working class accent with the rough-hewn and guarded Borden. 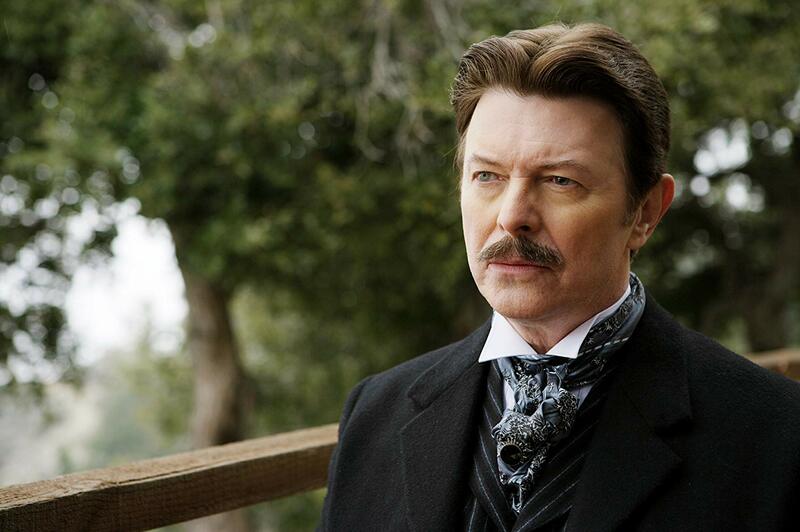 It is also good to see David Bowie back on the big screen. For the latter half of the 1980s and the whole of the 1990s, Bowie has been almost entirely absent both as recording artist and as an actor, although in 2006 he made a surprise comeback as an actor in The Prestige and also an animated villain in Arthur and the Invisibles (2006). Scarlett Johansson delivers a waveringly variable British accent, although a much finer performance comes from relative newcomer Rebecca Hall who far outshines the A-list Johansson. Christopher Nolan next went onto direct the Batman sequel The Dark Knight (2008) and followed this with the mind-bending Inception (2010) about dream espionage, The Dark Knight Rises (2012), the space exploration film Interstellar (2014) and the non-genre War film Dunkirk (2017). Nolan also produced and devised the story for Man of Steel (2013) and produced Transcendence (2014), Batman V Superman: Dawn of Justice (2016) and Justice League (2017). (Nominee for Best Adapted Screenplay, Best Actor (Christian Bale), Best Actor (Hugh Jackman), Best Supporting Actress (Rebecca Hall) and Best Musical Score at this site’s Best of 2006 Awards).